FBS User Conference, Danny Klinefelter on managerial accounting and precision farming, FBS user survey, Balance sheet doesn't balance. 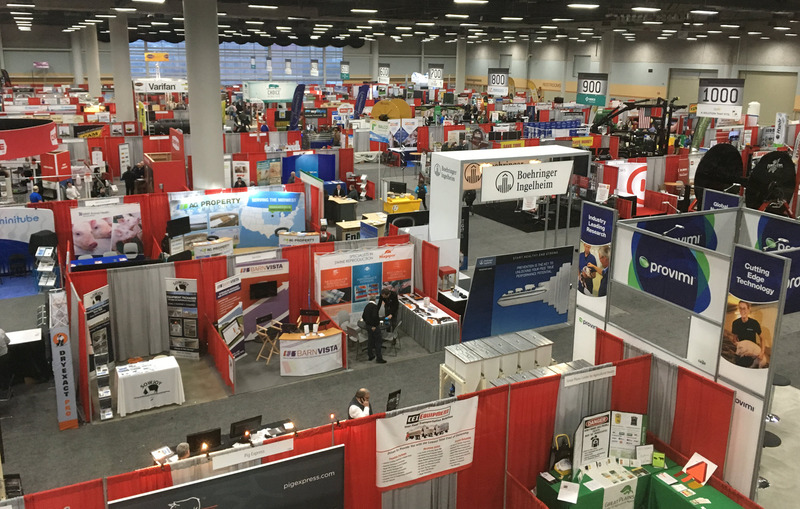 We try to be selective with our winter trade shows, concentrating on the events that bring in a national or regional audience such as the National Farm Machinery Show in Louisville, the upcoming Commodity Classic in San Antonio and the Iowa Pork Congress (pictured above) which draws from 5 states. While we look forward to the personal contact we have with our clients and prospects we have at the "carnival," the real work gets done by our staff who support you from the home office or travel to your farm. By far the most productive event for FBS clients and staff is our annual User Conference. Read about it below. How do you use FBS? Danny Klinefelter on managerial accounting. When your balance sheet doesn't balance. 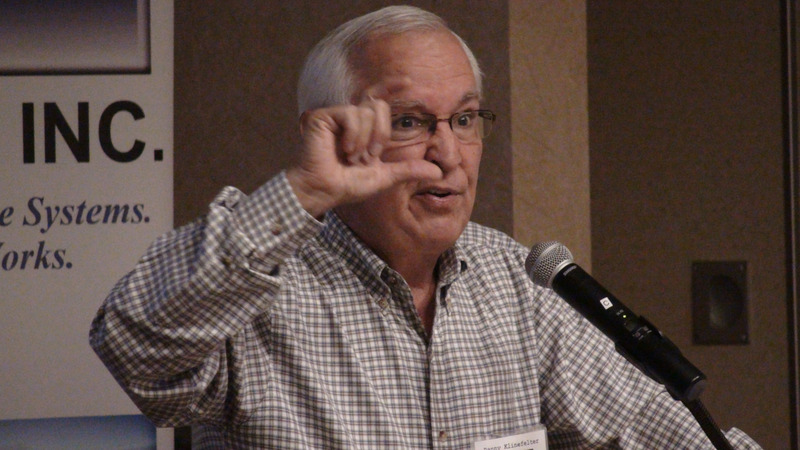 Klinefelter at the 2015 FBS User Conference. 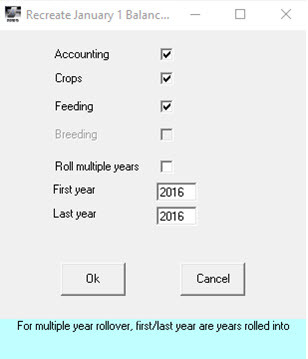 Will the Marriage of Managerial Accounting and Precision Farming Yield an Exponential Advantage? 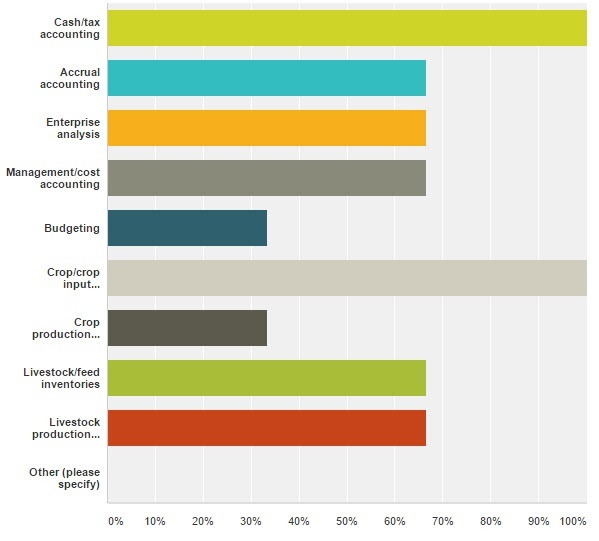 According to Danny Klinefelter's February 2017 Progressive Farmer article only about 5% of farms today use managerial accounting, but they will be the ones best able to adapt to ag’s changing economics. The Texas A&M professor and TEPAP founder also notes that just as site-specific farming offers more precise agronomic information, managerial accounting helps costs drill down to the field level. "The results can make an exponential difference. We have much more site-specific technology today. This matches your agronomic firepower with your accounting. You’ll know your real cost, in real time, not guesswork based on gut instincts," says Klinefelter. 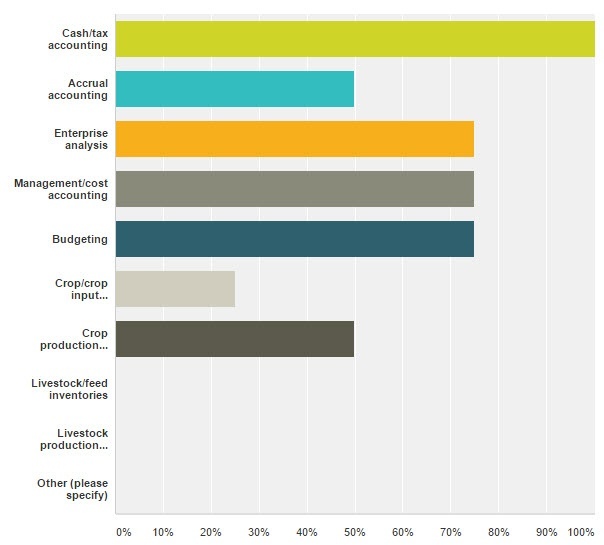 "Managerial/cost accounting is one thing lacking in the need to run a farm as a professional business." 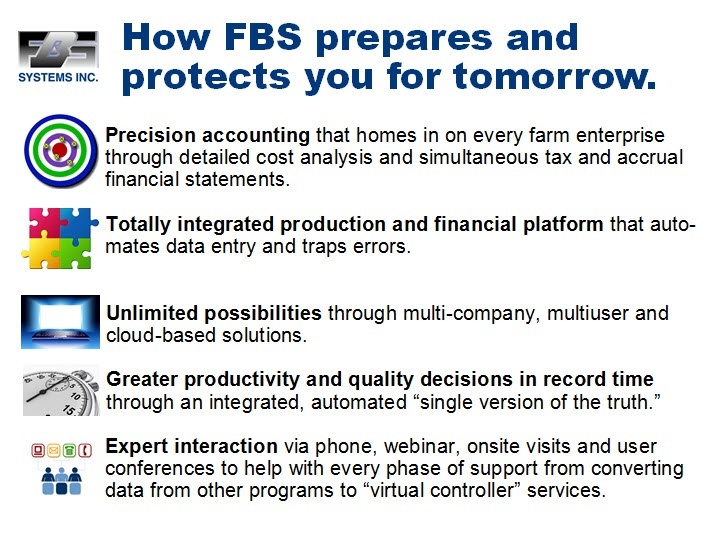 Click here for Danny's entire Progressive Farmer article and call 800.437.7638 for more information on FBS's E.CLIPSE Managerial Accounting and MACH 2.0 precision farming interface. Last month we shared results of an online survey where we asked our clients"Why do you use FBS Software?" While those answers help us understand the initial motivation for choosing FBS, we wanted to go deeper so we also asked them "How do you use FBS Software?" Their answers below reveal the priorities and accomplishments of among our four tiers of support plans. 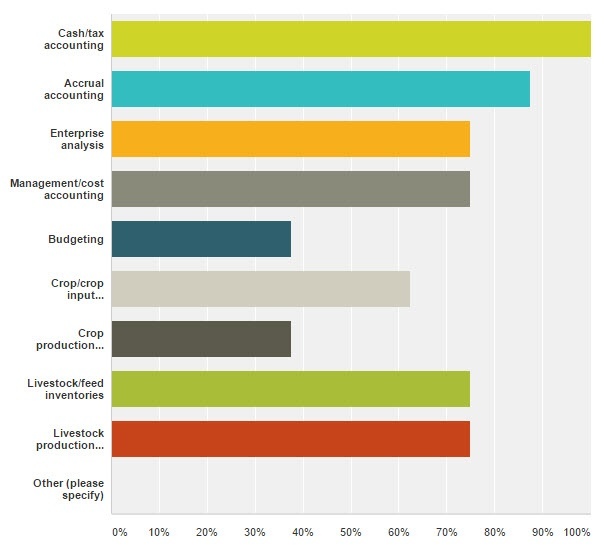 All respondents are using FBS for "Cash/Tax Accounting," which is not a surprise considering nearly every U.S. farm files taxes on a cash basis. 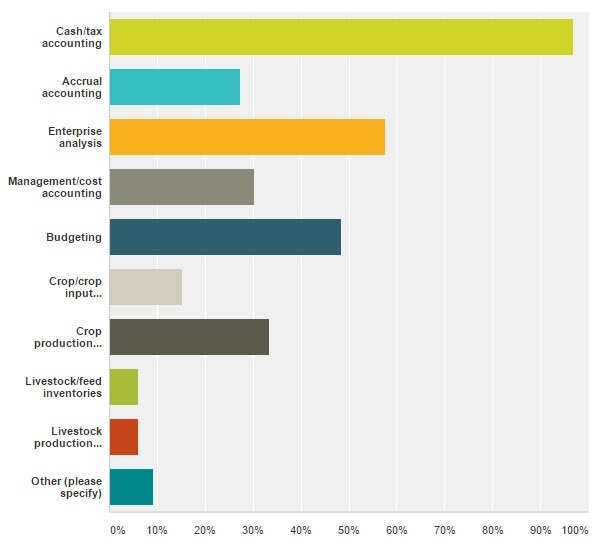 In fact, we'd expect the same response from farm users of any brand of accounting software. 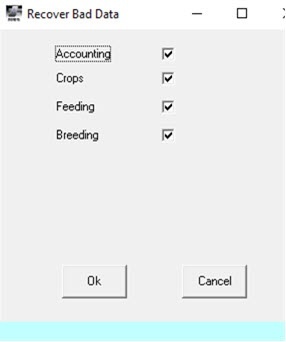 Unlike users of any other ag software FBS users are using a single platform to maintain crop and livestock production records and inventories in addition to accounting. This integrated design not only eliminates redundancy but also provides the activity and inventory logic to "drive" accrual financial statements. Not surprisingly, VIP and Corporate "power users" are more likely to take advantage of FBS's integrated design and modules. Next month we'll drill a little deeper and discover which FBS modules are most popular. Thanks to all those who participated in this survey. We take your "votes" and comments seriously. March 13: Utilizing Centers and Divisions. March 20: Using Overhead Allocations. March 27: E.CLIPSE Managerial Accounting. Q. My balance sheet is out of balance. How can I find out why? A. This is a question we get quite a bit--especially at tax time. I've answered this question in our newsletter before, but because it comes up so often I felt it was good to address it again. 1. Run the Balance Sheet report with the box check to include inactive accounts. 2. 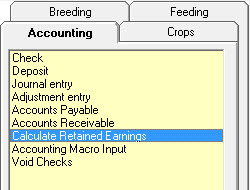 Recreate Beginning Balances (under Utilities) and recalculate Retained Earnings for the current year (under Accounting Input/Edit). 3. Recover Bad (Accounting) Data (under Utilities). 5. Run the Date Cash Exchanged Report to see if you can find a day or days that add up to the amount out of balance. 6. Figure out where you start being out of balance. Were you in balance on 12/31 of the previous year? Are you in balance on 1/1/ of the current year? Start breaking the time frame down by 6 months, then 3 months, then weeks until you find the day you went out of balance then look at all the entries on that date, fixing any issue that you find.